Thinking about a last minute family weekend getaway? Schaumburg Illinois has several family friendly activities your kids will LOVE. You’ll find plenty of shopping and kid friendly attractions including Legoland discovery center, a unique medieval themed restaurant, and a huge park district for outdoor enthusiasts. Schaumburg Illinois has something for everyone in your family. Radisson Hotel Schaumburg just opened a new modern and contemporary hotel in Schaumburg. Conveniently located near O’Hare airport, Woodfield mall, and the Legoland discovery center, this new location is perfect for either business or family travel. Complimentary WiFi. A plus for those who want to stay connected or travel for business. Indoor Swimming Pool. We love hotels that offer year round swimming. Full Service Restaurant. At the end of a busy travel day it is nice have an onsite dinner option. Outdoor Fire Pit. 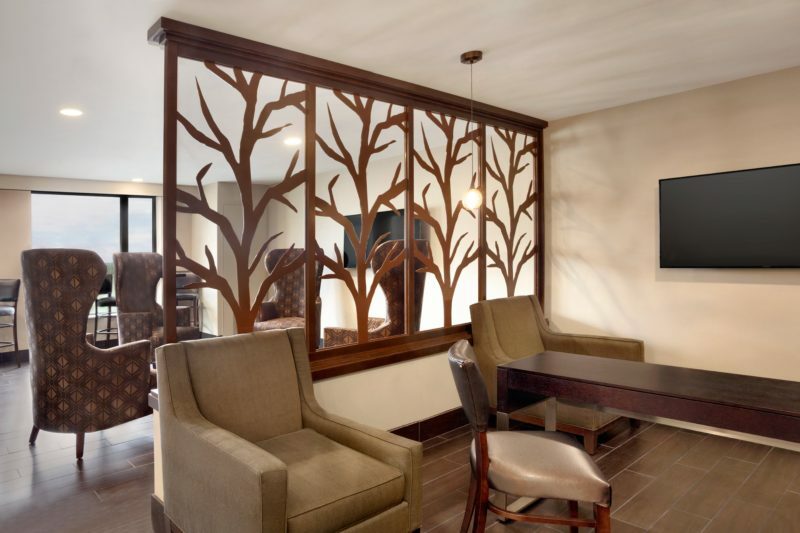 Chicago evenings can be chilly, even in the summer, and this is a great way to relax and enjoy your favorite beverage before retiring to your spacious room or family suite. Extra Amenities for Business Travelers. In addition to free WiFi, the Radisson Hotel Schaumburg offers free shuttle service to O’Hare as well as shuttle service to anywhere within a 5 mile radius. They also have a fitness center, meeting center, and 24 hour business lounge. With all these amenities, it is easy to see why this location is great for both business and family travel. It’s a perfect Midwest Family Weekend Getaway with easy access into Chicago via train, as well as many local attractions. 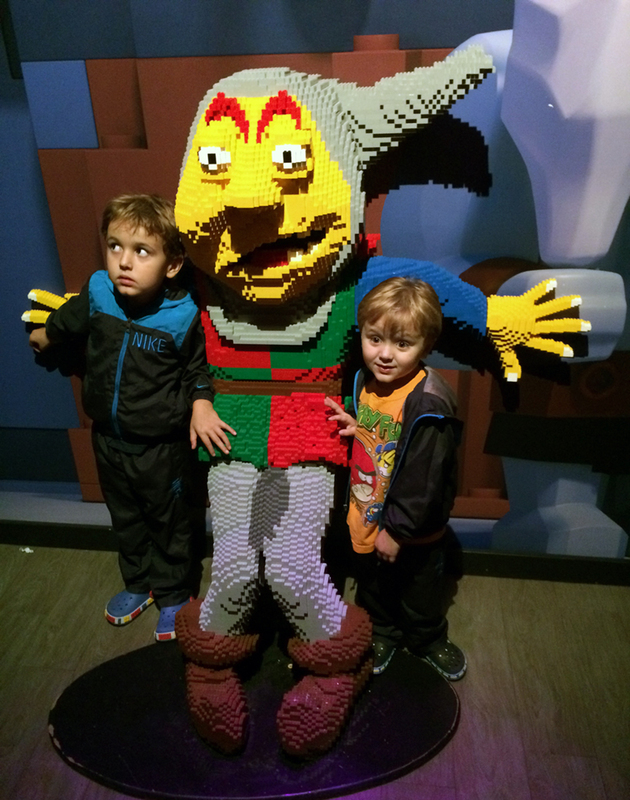 LEGOLAND DISCOVERY CENTER – You had my kids at Lego. Located about 3 miles from the Radisson Hotel Schaumburg, Legoland offers themed rides, shows and fun building activities for the whole family. 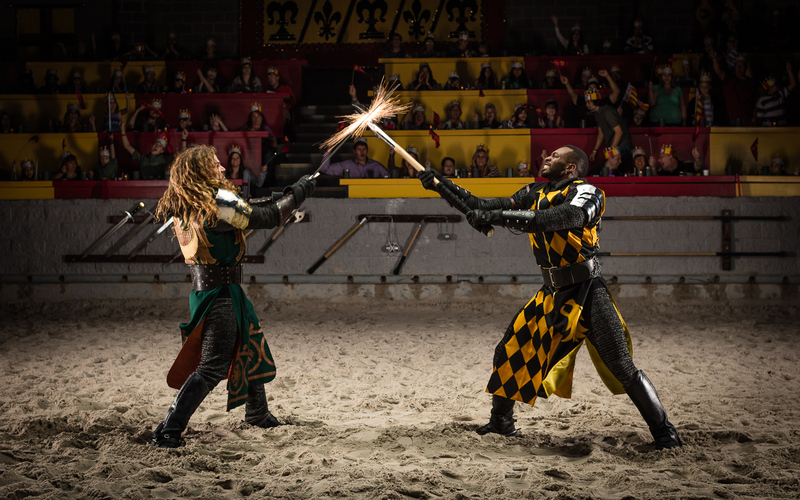 MEDIEVAL TIMES DINNER THEATER – Watching an epic battle between two Knights is worth a trip to The Radisson Hotel Schaumburg. This wildly popular, family friendly, dinner theater features jousting, hand to hand combat, and horsemanship during an 11th century themed show. A local entertainment center with a unique combination of games, food and sports; Gameworks offers hundreds of arcade games, dining options and even happy hour drink specials, GameWorks is a great place to let off some steam. You can also catch some retail therapy at the Local Woodfield Mall or even a movie at the AMC 20 screen theater. SCHAUMBURG PARK DISTRICT – has over 1100 acres of parks that include tennis courts, playgrounds, a winter ice rink, 3 outdoor pools and a year round indoor water park. If you are in to hiking, fishing, and canoeing, head over to the Ned Brown Forest Preserve. This 3000+ acre natural preserve is located 6 miles outside of Schaumburg. FREE GIVEAWAY – TWO nights at a Green Radisson Hotel! 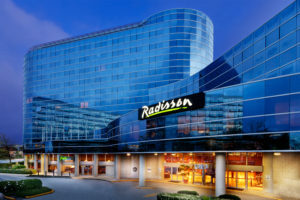 We are super excited about the new Radisson Hotel Schaumburg and are planning to take a family vacation with Radisson to enjoy another trip to the Legoland Discovery Center and check out the Medieval Times Dinner Theater. We are also planning to stay at this hotel before our next early morning flight from O’Hare. What we are most excited about is the FREE GIVEAWAY for two FREE nights at a Radisson Hotel. The winner will receive one e-certificate redeemable for a two-night stay at any Green Radisson Hotel. Easy to enter! Simply visit our sponsor’s homepage to open the entry options! Make sure to check out their latest hotel deals! OMG.. it would be awesome to win the giveaway I am always looking for an excuse to travel with my little boy! Thank you for the chance to win!! We love Radisson Hotels!! I would love to take part but I live so faraway! The giveaway is for ANY Radisson globally so go ahead and enter! Maybe you will win. Good luck!! We are really debating on whether or not we can afford to go on any sort of vacation this summer, so I am really hoping to win! I live in Madison, Wi – so I’d hit up Schaumburg, too! This looks like such a great family weekend, which is what we’re always looking for. If only the brand was represented closer to us in the PNW. We ALWAYS take advantage of hotel fire pits when they’re available! It’s unusual to see such a nice hotel near an airport. I’ll have to remember this one for future travels. I hope the dinner is not too authentic to the medieval experience! Bu the hotel looks fabulous. Gorgeous place to stay. And quite close to a lot of fun stuff. Nicely captured. Ooo Great giveaway! Totally entering! I have been to Medieval Times in New Jersey and loved it! Especially eating the big ol’ chicken drumstick with my hands!